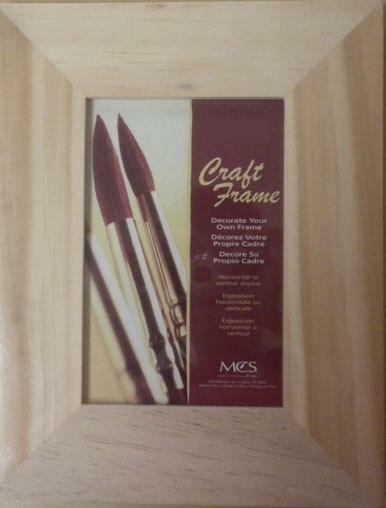 CRAFT PICTURE FRAME. QUALITY WOOD FRAME WITH GLASS FRONT. 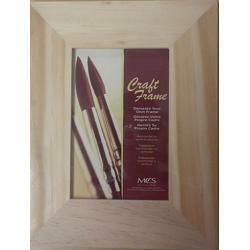 CAN BE HUNG OR SET ON A TABLETOP USING THE EASEL BACK. 1.75" BORDER. AVAILABLE IN 4" X 6" OR 5" X 7"